Massage is the language of touch communicated to the nerves, mind and the body as a whole. Over the ages, massage has been used to reduce fatigue and improve sleep quality. The Mayo Clinic research shows that massage can improve sleep quality. 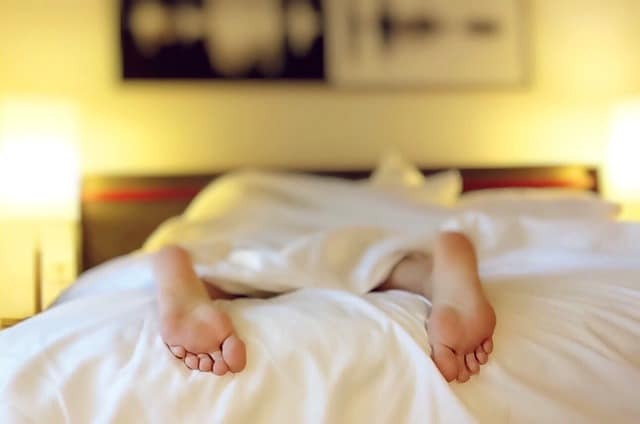 Research by the America Massage Therapy Association indicates that a massage helps you sleep longer in the restorative stages of sleep where the body barely moves. Massages increase the availability of serotonin a neurohormone that plays a vital role in sleep quality. People with low levels of serotonin are moody and can suffer from insomnia. A high level of serotonin facilitates the production of melatonin a hormone that regulates slumber in darkness. A massage also raises the levels of epinephrine which create a feeling of relaxation and induces deep sleep. Acupressure and Trigger Pressure Therapy create endorphins which reduce pain and produce a sense of euphoria. Nowadays, people don’t even have to leave their homes into get a massage. A good massaging chair can provide users with an almost similar experience and benefits. This is the reason why the popularity of massage chairs has increased in recent years. Caffeine found in coffee is a stimulant that keeps you awake. Taking caffeine in the evening will disrupt your sleeping mechanisms. Eat dinner in the early evening. This will give your gastrointestinal track enough time to digest the meal comfortably. By the time you are falling asleep, the digestion process is almost done, giving you an undisturbed sleep with no bowel movements or bloating. The body has internal analysis systems that check its activities. When you sleep and wake up at the same time every day, the body responds by turning on the internal clock. The mind learns when to expect slumber and when to wake up. An established sleeping schedule helps you stay asleep for longer until the time designated for sleep relapse, and it is time to wake up. Even after a late night, focus on waking up at your usual time. Then compensate for the extra sleep by going to bed early. Technology plays a significant role in getting good sleep. The lighting systems, mobile phones, and television sets affect the production of the sleep hormone melatonin. Turning off the TV and bulbs before going to bed can help you sleep better. Separate your work from your bedroom. Thus computers and TV sets should stay out of the bedroom. Another thing you need to invest on is the right mattress and bed. People who exercise regularly fall asleep faster, have a better quality of sleep and stay awake during the day. Working out rejuvenates your body mechanisms. Researchers indicate that working out reduces insomnia, depression, anxiety and other sleep-related conditions. With enough exercise, you can have the best sleep ever that is in-depth and restorative. However, activities stimulate the production of cortisol which reduces the need to sleep. Smart exercise means working out in the morning or late afternoons and never close to bedtime hours. Doing yoga and meditation is far much better when preparing for going to bed.